Is resilience a new buzzword for employers who think the only reason staff are stressed at work is that they’re just not tough enough? An article published as part of National Stress Awareness Day in the United Kingdom recently highlighted the issues surrounding workplace stress and how lately there has been an implication that it’s just the new way for employees to claim benefits or shirk their work. The article went on to say that in the UK today stress at work is very topical, with millions of workers being signed sick off with it and equal numbers of employers denying its existence. Reported incidents of stress in the workplace have been increasing. 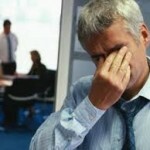 Over the last five years nearly 56m working days in the UK have been lost to stress-related illnesses. Although these figures fell between 2007/8 and 2009/10 from well over 13m to just under 10m, they have started to rise again to over 10m for both 2010/11 and 2011/12, according to a Labour Force Survey. The article made the point that we should all be mindful of the impacts of work-related stress, what our employers should be doing about it and how the new buzzword – ‘resilience’ – fits into their agenda. Like in Australia UK employers have a legal duty to risk assess any hazards in the workplace, and take steps to control the impacts. These hazards include stress and there are many ways this can manifest itself. Change: how employers manage and communicate organisational change including consultation. Still, some employers seem to take the view that many employees are stressed at work due to a lack of mental fortitude to deal with everyday working life and just aren’t tough enough. So they offer resilience training to employees in order to help them cope better. Research has found that developing and practicing coping strategies are totally appropriate in areas of work that are demanding or stressful by their nature – paramedics, police and firemen come to mind. However the answer is managing the issues causing stress not to offer blanket training in resilience. It is the employer’s legal responsibility to eliminate or minimise the stressors. The duty is not on the employee to ‘cope better’. Employers and managers should accept they have an obligation to manage stress and develop a stress management strategy in consultation with employees. This will inform them of where the stressors are, who are they affecting and what management controls can be implemented in order to minimise its effects.